While not enjoying the popularity of other sites in Yunnan Province such as Lijiang or Dali, Xishuangbanna (西双版纳) is today a favourite destination among national tourists as a ‘little Thailand’ within China. A popular topic for the cameras of visitors to the region, as can be seen in web travelogues, is that of Buddhist novices playing basketball, in fact a frequent sight not only in the urban temples of the capital Jinghong City, but also in monasteries in the rural countryside. These young novice monks belong to the largest group of Theravada Buddhists in China, and are included in the Dai minzu (民族, ‘ethnic group’). For most Han Chinese and Western travellers, the view of boys in robes jumping around may be little more than an anecdote, a feature of the ‘ethnic peculiarity’ (民族特色, minzu tese) of the Dai. For visitors from countries where Buddhism is an essential part of the national culture (particularly Thailand), as well as for concerned locals, the topic is a sensitive one, as in most of those countries playing sports is an activity considered inappropriate or outright unacceptable for monastics. In a way, these idiosyncratic monks are victims of their own region’s economic development. A former semi-independent principality in the frontier between the Burmese and Chinese empires, Xishuangbanna was fully integrated into the administrative structures of the Chinese polity only after the establishment of the People’s Republic in 1949. In the last decades, the systematic exploitation of the area’s resources, mainly rubber and, more recently, tea and tourism, has accelerated this integration as well as the region’s participation in national and regional economic circuits. Pushed by sustained double-digit economic growth in China, Xishuangbanna has become a key trade hub in the Economic Quadrangle formed by that country, Thailand, Laos and Myanmar, and one of the fastest developing areas in the borderlands where China meets Southeast Asia. The new integration and openness have meant in turn that Dai monastic practices (basketball-playing among them) have been brought into the spotlight, and pointed as markers of an alleged backwardness on the part of the group. Their perceived defectiveness as Buddhists now adds to their inherent inferiority as ethnic minorities within the ‘Chinese Nation,’ the Zhonghua Minzu (中华民族). Problems of discipline among Dai monks are commonly attributed by observers to the negative influence of state repression and of contemporary mainstream Chinese culture. Indeed, local Buddhism suffered greatly during the Maoist period. The Cultural Revolution in particular was especially damaging, as temples and shrines all across Xishuangbanna were destroyed or put to more earthly uses by Red Guards (often Dai themselves), while monks and novices were forced to disrobe. By the time of Mao’s death in 1976, Buddhist practice had all but stopped in the area, but China’s Reform and Opening-up (改革开放, gaige kaifang) policy changed all this, and by the mid-1980s the numbers of monasteries and monastics had reached pre-‘Liberation’ figures. According to some, Buddhism in Xishuangbanna, and monastic discipline in particular, has never recovered from the destruction of the past. On the other hand, young Dai monastics are fully exposed to post-Maoist modernity. To start with, within the Chinese public education system novices and monks are considered ordinary students, and therefore they must partake in all sorts of school chores and activities together with their lay classmates. This includes participating in physical education classes, which involve playing basketball as well as other sports. Apart from the school system, mass media and mainstream culture are often blamed for spreading consumerist culture and for corrupting local monastic discipline and morality. As in the rest of the country, and thanks to the broadcast of NBA competitions as well as other national and global sport gatherings such as the Olympic Games, figures like LeBron James or Kevin Durant (not to mention martial actors such as Bruce Lee, Donnie Yen, or even Jason Statham) have replaced the sober, self-sacrificing exemplars of the Maoist past as contemporary idols for youth in Xishuangbanna. But if basketball and sport practice in general can be seen as markers of degeneration and a source of embarrassment, for monastics themselves they are often meaningful tokens of pride. As in many other areas of Southeast Asia, monastic ordination in Xishuangbanna is most often only a temporary endeavour. While a small minority of men remain ordained for life, most monks will eventually disrobe to get married and set up a household, something that brings no shame to the individual. In this context, it is only natural that these boys and men are not interested in religious ideals of complete renunciation, and that the self-cultivation they pursue while in the monastery concerns not only their ‘souls,’ but their bodies as well. Basketball matches have actually become one of the arenas where the cultivated bodies of monks are displayed, admired and appreciated, and there is a degree of exhibitionism in the display of the most skilful and handsome players, aware that they are being contemplated and evaluated by their peers. A boy who is able to combine an athletic body with a suave, self-controlled demeanour may also appear as a preferable partner for local girls. Furthermore, sport is not only a matter of individual interest. Dai monks and former monks are still today the moral exemplars and guardians of tradition among the Dai. 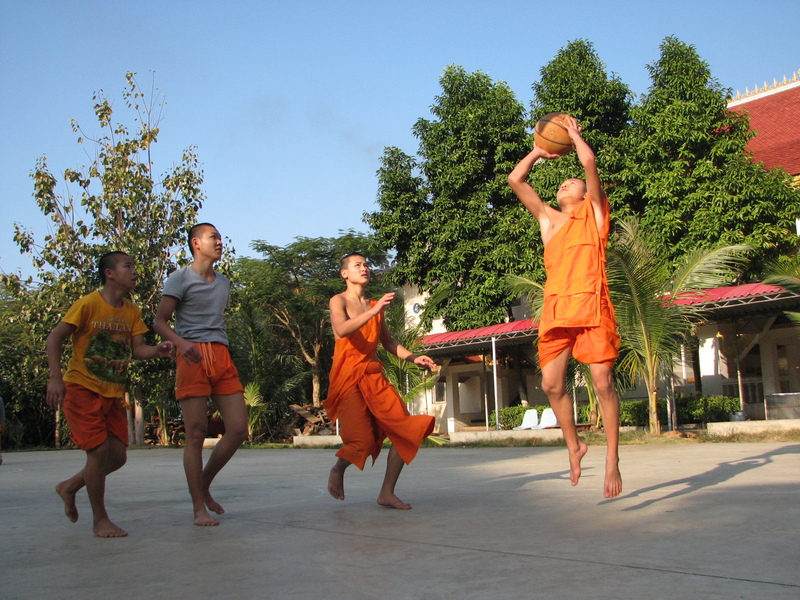 By playing basketball and cultivating their bodies, these youths not only learn team spirit and strengthen their friendship, but they also state claims to high suzhi or ‘human quality,’ and therefore to a rightful place in the Chinese Nation and in global modernity on the part of the whole Dai community, while preserving the core of their identity and their foremost traditions. An example of this took place during the Yunnan Province Third Religious Sport Games and Cultural Exhibition, celebrated last September in the city of Yuxi. At this event, which included competitions in different sports, the Sipsong Panna monastic basketball team ended in third place, losing in the semi-finals only to Dali, ultimately the champion team. The value of these bodily sub-politics in the Chinese context should not be underestimated. In short, the current, enthusiastic interest in basketball on the part of Dai monks and novices cannot be questioned in relation to Buddhist canonical texts and doctrines, or judged simply as a problem of (in)discipline. Sport practice among monastics responds to the practical demands of a context in which the ideal of the religious specialist is only partially desirable, as well as to an eagerness to engage with modernity. 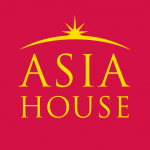 Instead of either criticizing or seeing such enthusiasm as a sign of the degeneration of local monastic discipline, it may be more fruitful to try to understand the role this practice and the overall care of the body play in the unfolding of monastic identities – a notion which surely applies to many other Buddhist communities in Asia. Roger Casas has lived and worked in Xishuangbanna and in other parts of China for extended periods since 2001. After obtaining his PhD from the Australian National University in 2015, at present he works as a researcher at the Institute for Social Anthropology of the Austrian Academy of Sciences, in Vienna. His current project continues his long engagement with the Dai, this time focusing on the interplay between Buddhism, economic action and gender in Xishuangbanna. He can be contacted at roger.casas@oeaw.ac.at.